Where's the Center of Google Earth? 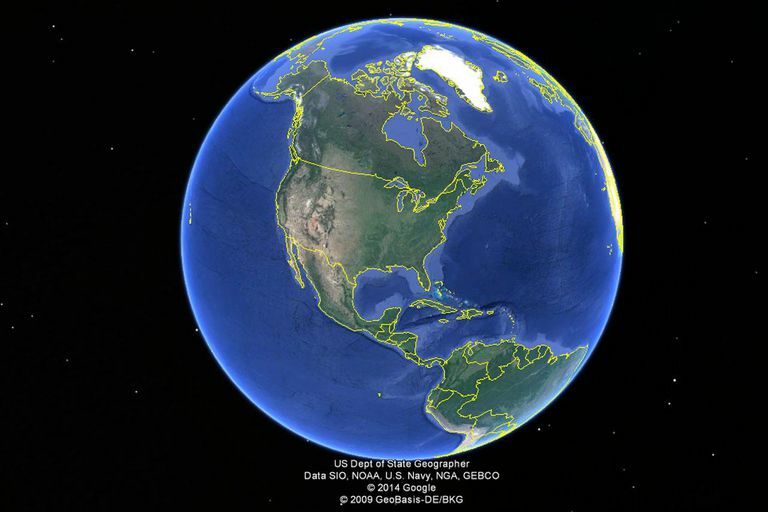 Where Is the Default Center of Google Earth? The previous center of Google Earth, Windows version was Lawrence Kansas. It should be noted that the Windows version used to be the only version, so for a while, the default center of Google Earth for everyone was Lawrence, Kansas. Brian McClendon grew up in Lawrence, Kansas and went on to graduate from the University of Kansas in 1986 with a degree in electrical engineering. He put his skills to good use and went on to help found a company called Keyhole, which allowed you to visually see satellite photos of the world. Keyhole was then purchased by Google in 2004 and turned into Google Earth. McClendon was a vice president of engineering in charge of Google's geo products, including Google Maps and Earth until he left in 2015 for Uber. McClendon honored his earlier home by making Lawrence the default starting point for the Windows version of Google Earth. If you zoom in closer, the exact center is Meadowbrook Apartments, a popular residency choice among KU students. Brian McClendon still makes the occasional visit to Lawrence and once gave KU $50,000 of his personal money to purchase Android Xoom tablets for engineering and computer science students at the university. Students were allowed to keep the tablets as long as they completed Programming I and II with at least a C and an EECS major. Brian McClendon got to decide the center of the Windows Earth, but Dan Webb was the software engineer responsible for deciding the center of Google Earth for Macs. He happened to grow up on a farm in Chanute, Kansas, and that's the center of the Mac version of Google Earth. Dan Webb was also a KU graduate, but he chose his Chanute home for the default location partially to tweak Brian McClendon for his choice of Lawrence. Where Is the Real Geographic Center of the USA? The actual globe doesn't have a default center, so any choice is ultimately arbitrary. Europeans like to look a the globe with Europe in the center, and Americans look at it with the USA in the center. The reasons for choosing both Chanute and Lawrence Kansas as centers of Google Earth is because they're near the geographic center of the USA, and they seem natural choices. However, even the geographic center of the USA isn't a designation without controversy. If you're counting the center of the USA, do you count all 50 states or just the ones conveniently clumped together? If you go to the 48 contiguous states, there's a spot near Lebanon, Kansas with a marker designating it as the geographic center. The marker was built back when the flag only had 48 stars, and it's probably a fair enough center point. That's where your finger would typically land if you pointed at a map of the USA. However, Lebanon, Kansas is still 225 miles away from Lawrence, or about a four-hour drive. Chanute is nearly 300 miles away. If you count all 50 states as they currently stand, the center is actually near Belle Fourche, South Dakota. That makes Lawrence only 786 miles and Chanute 874 miles from the geographic center of the USA.